My pal brought me home a set of Nordic Ware Donut Pans from a recent trip to the States. I was so impressed with the quality, I genuinely couldn't wait to try them out. Seeing as I wanted to get the recipe right first time, I took to Pinterest for, ahem, "research". Three hours of my life later and armed with little more than a few scribbles on a sheet, I emerged with a multi-influenced recipe and no idea if it'd work. 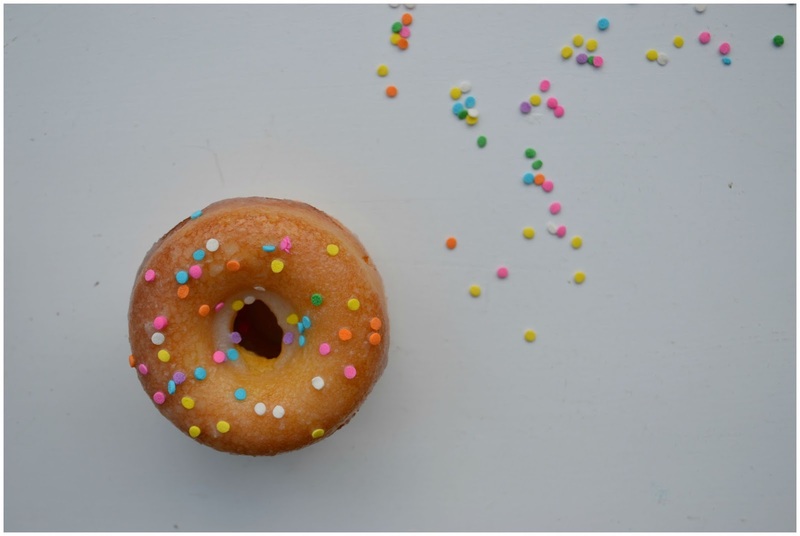 I didn't actually spend three hours looking up donut recipes, I browsed EVERYTHING else. Because let's face it, the rabbit-hole-vortex that is Pinterest traps you from the get go. Coming out alive is a win in itself. Preheat oven to 180C/350F or Gas Mark 4. Liberally grease two 6-cavity donut pans with cooking spray and set to one side. Or one 12.. whatever you have. In a large bowl whisk together the flours, sugar and baking powder together until combined. Whisk the eggs in a medium bowl until frothy, and then stir in the vanilla. Pour the egg mixture into the flour mixture and begin stirring to combine. Scrape the batter into a piping bag and snip open the tip. Pipe the donut batter into the pan holes until they are about 2/3 full. 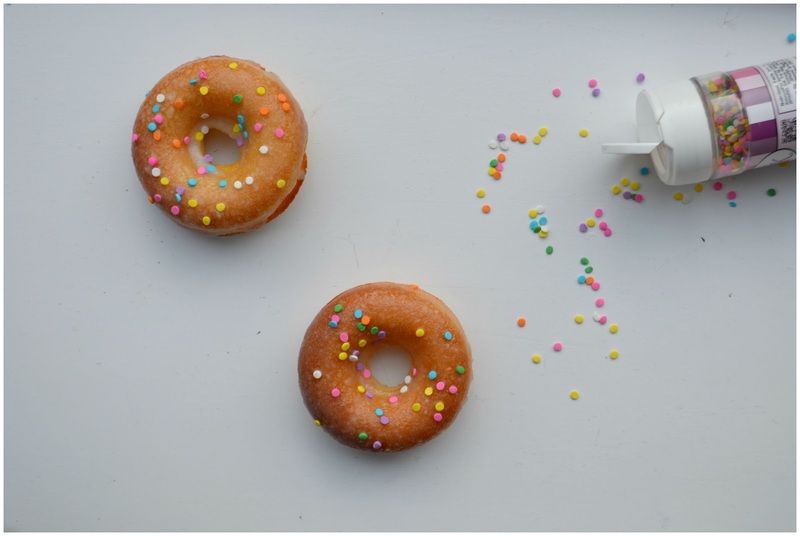 Gently tap the donut pans on the counter to dislodge any bubbles. Bake for approximately 9-11 minutes. 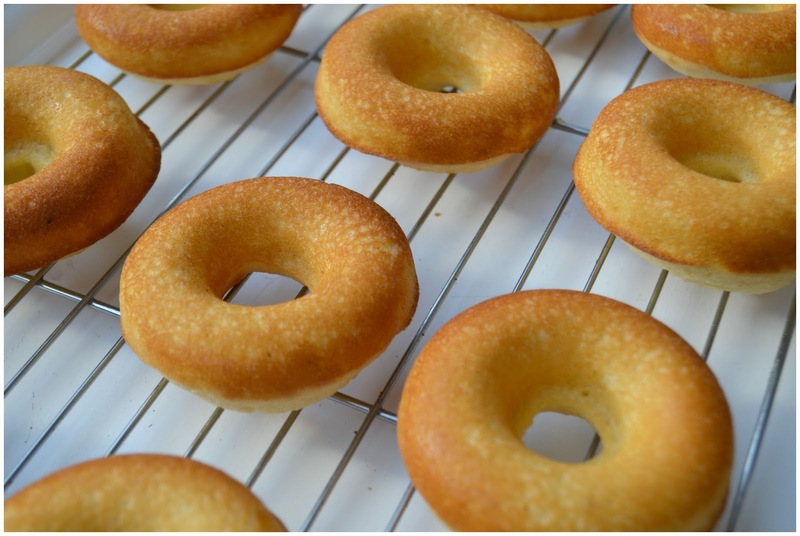 Allow the donuts to sit in the pan for about 5 minutes before gently removing. Turn the pan upside down and gently shake it until they pop out. Allow to cool fully before dipping. To make the glaze: On the hob, put the icing sugar, milk and vanilla in a small pot over medium heat until melted and combined. Dip each donut into the glaze, allowing excess to drip off on a wire rack over a piece of baking parchment. Immediately sprinkle with er, sprinkles as the glaze crisps super fast. 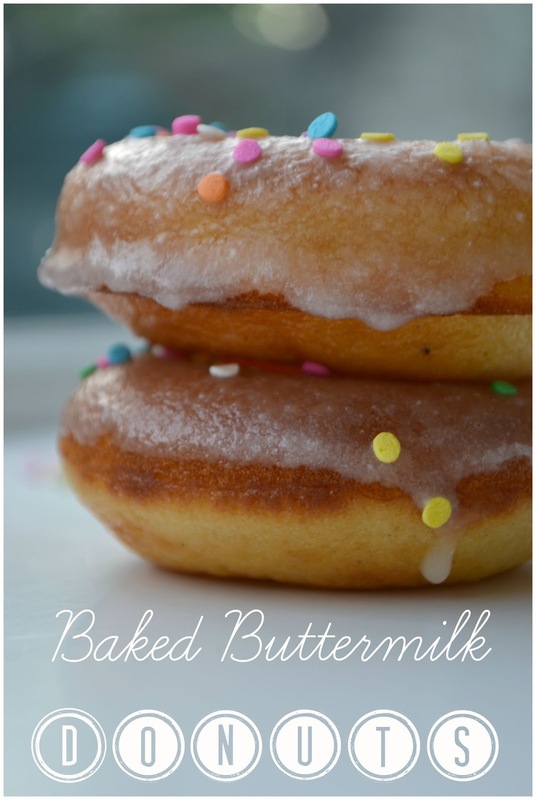 Reheat the glaze or add more milk as necessary if you need to keep it smooth. Hopefully you will have more than three donuts to take photos with.. Hungry wolves snap these up fast! These are great but they come with a warning. 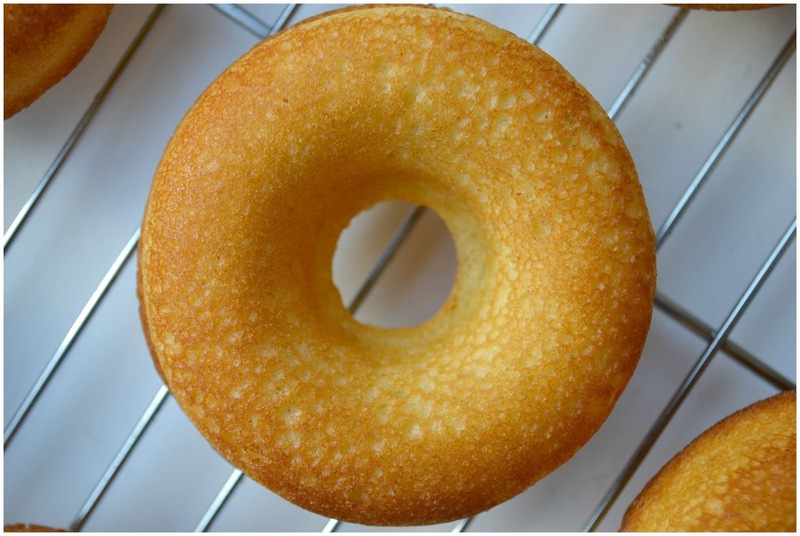 The fact they are baked, tricks your mind into thinking they are healthy for you because fried donuts are... So. Bad. For. You. And these aren't fried. All in moderation I say.. just possibly not the all 12 to yourself kind of moderation. Thanks Amy!! I would love to own every pan they stock but alas my kitchen won't stock them! That's what we have dreams for though, right?